Thomas C. Headline, COVT teaches courses internationally about vision therapy and how to implement a successful vision therapy program. 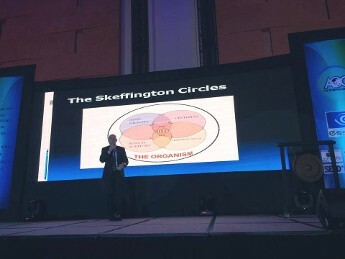 He will be teaching in Manila this June, 2018! Click here to view photos of previous courses. 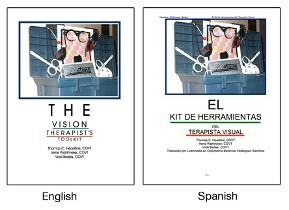 The Vision Therapist's Toolkit will help you to develop your understanding how to implement the tools of vision therapy. Many VTODs and vision therapists use this manual in their preparation for their Board Certification examinations from the College of Optometrists in Vision Development. Our authors have taught many courses about implementing various phases of a vision therapy program and how the tools of vision therapy can be incorporated to elevate or decrease the demand levels of the vision therapy procedure. Lay people and allied professionals (OTR, SLP, Behavioral Analysis and Educational Therapists) have found this manual helpful to understand the technical applications of the tools of vision therapy and why vision therapy is performed under the guidance of developmental optometrists and vision therapists. In this 176-page training manual, the reader will become acquainted with the implementation of patches, filters, lenses and prisms with a vision therapy program. Users are provided hands-on demonstrations within the text to learn more about the these tools in their vision therapy practices. We also discuss how to modify the difficulty level of various vision training procedures. The Vision Therapist's Toolkit book is a recommended text for those undergoing their certification process through the College of Optometrists in Vision Development. Purchase your copy today for only $35.00 - English or $40.00 Spanish translation. Click here to download an orderform! Or find our products at Bernell or The Optometric Extension Program Foundation! Contact us to purchase our fun & engaging visual learning materials.